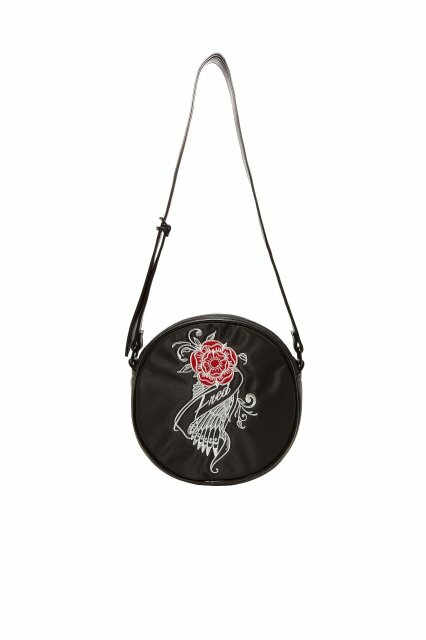 AMY WINEHOUSE EMBROIDERED BAG. The Amy bag is compact, with a zip-through design and adjustable shoulder strap. Made with an exclusive design by Amy's friend and tattoo artist, Henry Hate, which is embroidered onto the fabric. Nylon with PU trims. Embroidered Henry Hate design. Zipped. Internal slip pocket. Adjustable shoulder strap. 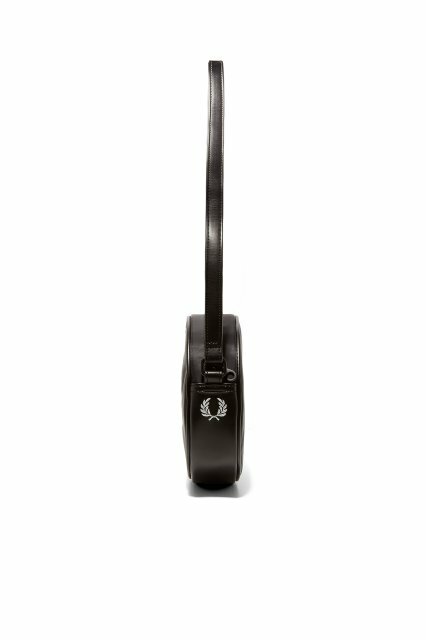 Referencing her original designs for Fred Perry, our collaboration with the Amy Winehouse Foundation has the singer at its core. This collection features an exclusive design by Amy's friend and tattoo artist, Henry Hate. The embroidered patch features a Northern Soul rose, and the wings of a bird, representing Amy's love of music and her free spirit. Each season we contribute to the Amy Winehouse Foundation, supporting the charity’s work for young people from difficult backgrounds. Diameter: 20.6cm Gusset Depth: 6.6cm. 100% Polyamide. Not Washable.